‘Land Art’, an art movement in which landscape and the work of art are inextricably linked. Vincci Mak of Division of Landscape Architecture and course coordinator of the Common Core Course, ‘Shaping the Landscape: A Quest for Harmony between Nature and the City’ sees land art as an alternative way to approach environmental issues. “In society we have tried policies, data presentation, and many other ways to express the urgency to address environmental issues. However, the issues do not seem to have improved much. Using art as an approach provides another channel to tackle the environmental issues as well as bringing insights that other methods have missed”, said Vincci. 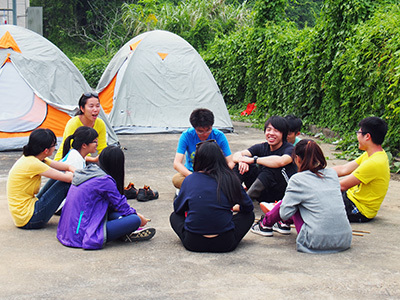 This year, students explore the relationship between culture and nature at a Hakka Village near Lam Tsuen in Tai Po. The village is one of the oldest Hakka villages in Hong Kong, with a traditional village setting that respects the surrounding landscapes. Students spent their reading week at the village to observe the relationship between culture and nature and use art as a medium to communicate their environmental concerns and ideas to the local community. Students’ art works will be showcased in a public exhibition from 13-20 November, 2013 at the Vault at Fringe Club in Central. The course enhances students’ understanding on the interrelationship between humankind and the environment, as a means for survival and as expressions of culture. The humankind and the environment have always been in harmony. 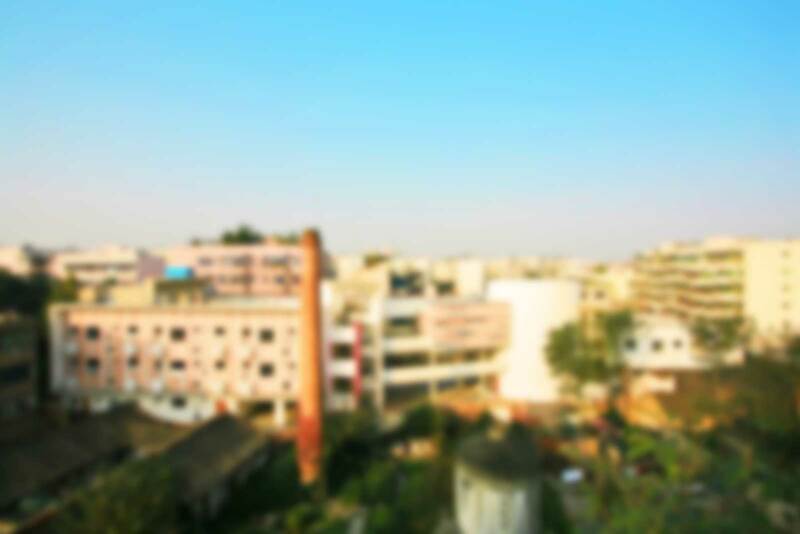 However, under rapid development and industrialization, our way of living has become unsustainable. Today’s landscape reflects humankind’s abuse and mismanagement towards the environment. “With limited resources, we had to learn to maximize the use of the natural resources we found on the site and create our work. At the same time, we had to be aware not to make too much damage to the site. I think this is what it means to live in harmony with the nature, just like what the villagers of Lei Yue Mun do”. Cheuk Man Anthea, LUI, BEng student who took the course in 2012-2013. Besides lectures and seminars to discuss and critique how different groups in society respond to such imbalance and what they do to restore a healthy reciprocal relationships between human being and nature, students will be introduced to land art through the ‘Land Art Workshop & Exhibition’, where they will explore creative options to express their environmental concerns and opinions via the process of making art. Being offered as part of Common Core Curriculum, the course has brought new synergy. Vincci finds that the students have had a rewarding learning experience. Students from different disciplines work together on the art pieces and through their discussions and teamwork, they bring their own expertise and knowledge and thus, bring different perspectives on the issues. ‘Shaping the Landscape: Land Art Workshop and Exhibition’ in 2013-2014 is funded by the Gallant Ho Experiential Learning Fund. An art exhibition, featuring students’ art works that express their understanding of the environment and their responses to the process of nature at Lei Yue Mun in 2012-2013. 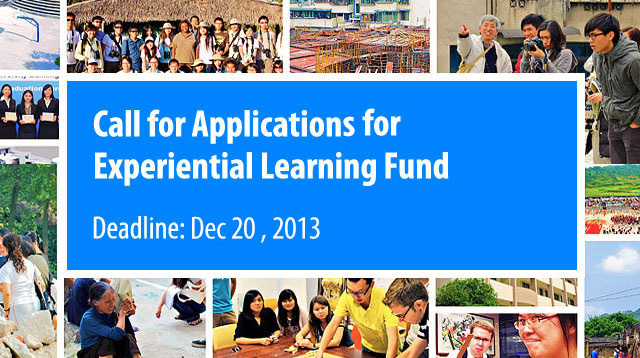 An exhibition of The Gallant Ho Experiential Learning Fund 2012-2013 awarded projects will be held on November 11-29, 2013 at HKU Campus. 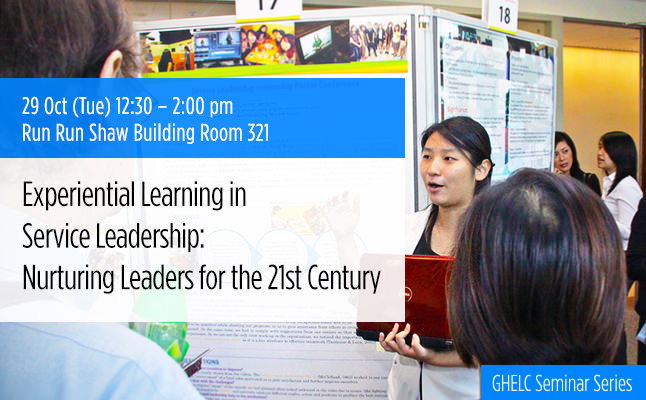 Student learning and experiential learning activities will be highlighted. 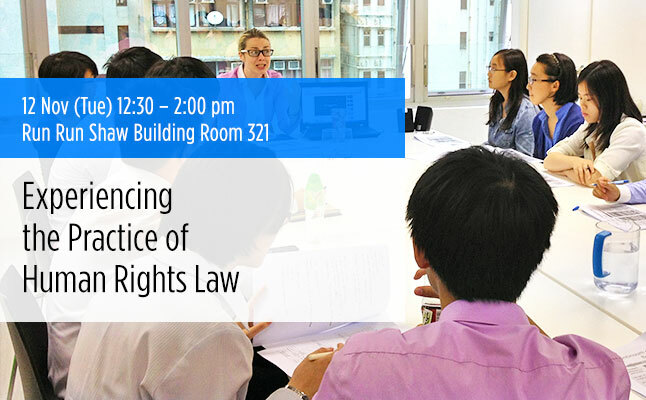 The HKU-HKRAC Clinical Legal Education Programme is an academic-community partnerships in creating experiential learning opportunities for law students. 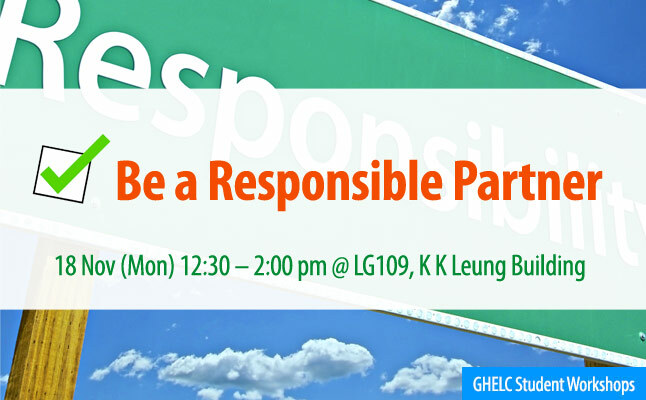 The speakers will specifically focus on how the Clinical Legal Education Programme – Refugee Stream’s partnership with the Hong Kong Refugee Advice Centre (HKRAC) plays out in context of student supervision and enhancing the student learning experience. The workshop aims to empower students with the necessary mindset, knowledge and skills in initiating and organizing experiential learning activities. Three different issues will be addressed: common blind spots in experiential learning activities; respecting local culture, living style, environment and economy; and personal safety and team security. The Service Leadership Internship (SLI) with the support from the HKI-SLAM, Victor and William Fung Foundation, provides funding to the delivery of service leadership training in tertiary institutions in Hong Kong. Dr. Eric Chui and Ms. Jessie Chow of the Faculty of Social Sciences shared the experiential learning process and learning outcomes in the training in which students contributed as shared leaders to help the organisations generate innovative solutions to authentic problems.